Position Announcement: Tribal judge position in Oregon, very limited hours per week, with some peacemaking interface. Currently it is part-time but it could become more if the Tribal Healing to Wellness Court (Drug Court) becomes operational. Deadline extended to February 24, 2017. The Confederated Tribes of Coos, Lower Umpqua & Siuslaw Indians (CTCLUSI) invites qualified persons to submit a Submission to perform Associate Judge Services on a contractual basis in the CTCLUSI Tribal Court. The specific details herein shall be considered minimum requirements unless otherwise stated. The specifications, terms and conditions included in this RFQ shall govern in any resulting contract(s) unless approved otherwise in writing by CTCLUSI, in the sole discretion of CTCLUSI. 2.1 “Submitter” means any individual or firm that submits a response to this RFQ. 2.2 “CTCLUSI” means the Confederated Tribes of Coos, Lower Umpqua & Siuslaw Indians. The project is located at Coos Bay, North Bend and Florence, Oregon, and may require occasional travel within CTCLUSI’s five county service area of Coos, Lincoln, Lane, Douglas and Curry Counties. 5.1 It is the sole responsibility of the Submitter to provide all information requested and meet all requirements of this RFQ. CTCLUSI has no express or implied obligation to reimburse any Submitter for any expenses incurred in preparing proposals in response to this request. 5.2 The successful Submitter and all personnel assigned to perform the services covered in this RFQ shall pass a criminal background check. 5.3 The Submitter shall be responsible for all professional licenses, taxes, fees and permits associated with or required of this RFQ. 5.4 The successful Submitter shall serve CTCLUSI as an independent contractor and shall not be deemed an employee or representative of CTCLUSI. The Submitter understands and agrees that the successful Submitter will be an Independent Contractor for whom no Federal or State Income Tax will be deducted by CTCLUSI and for whom no retirement benefits, Medicare, survivor benefit insurance, group life insurance, vacation, sick leave, worker’s compensation, unemployment and similar benefits available to CTCLUSI employees will accrue. The Submitter further understands that annual information returns as required by the Internal Revenue Code or State of Oregon Income Tax Law will be furnished to the successful Submitter for Submitter’s income tax records. 5.5 The Submitter shall not sublet, sell, transfer, assign or otherwise dispose of any agreement related to the RFQ or any portion thereof, or of his right, title or interest therein, without written request to and written consent of CTCLUSI, such consent being in the sole discretion of CTCLUSI. No subcontracts, transfer or agreement shall in any case release the Submitter of his liability under this agreement. 5.6 CTCLUSI has the right to terminate, without fault, any contract related to this RFQ in whole or in part if CTCLUSI determines, in its sole discretion that such termination is in the best interest of CTCLUSI. Any such termination shall be effected by delivery to the Submitter of a Notice of Termination specifying the extent of such termination. 5.7 The Submitter agrees to indemnify, defend and save harmless CTCLUSI, its officers, agents and employees from any and all claims and losses accruing or resulting to any and all contractors, subcontractors, material men, laborer and any other person, firm or corporation furnishing or supplying work, services, materials or supplies in connection with the performance of any resulting contract related to this RFQ and form any and all claims and losses accruing or resulting to any person, firm or corporation who may be injured or damaged by the Submitter in the performance of such contract and against any liability including costs and expenses for violation of property rights, copyrights or rights of privacy, arising out of publication, translation, reproduction, delivery, performance, use or disposition of any data furnished under such contract or based on any libelous or other unlawful matter contained in such data. 5.8 This RFQ and any resulting contract shall be governed by and interpreted under all applicable laws, ordinances, rules, regulations and resolutions of the Confederated Tribes of Coos, Lower Umpqua & Siuslaw Indians. 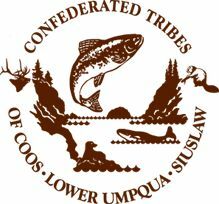 The Confederated Tribes of Coos, Lower Umpqua & Siuslaw Indians Tribal Court shall be deemed to have jurisdiction over any disputes under this RFQ and any resulting contract. 6.1.2 Preferences in the award of contracts and subcontracts shall be given to Indian organizations and Indian-owned economic enterprises.  Preside over cases as assigned by the Chief Judge and assist in arbitrating disputes, arraignments, hearings, pre-trial conferences, juvenile warnings, advising counsel, litigants, or court personnel, and administering the Tribal judicial system.  Read or listen to allegations made to determine their sufficiency. Examine evidence to determine if it will support charges. Listen to presentation of case, rule on admissibility of evidence and methods of conducting testimony.  Rule on continuances, discovery and settle disputes between opposing attorneys.  Determine innocence or culpability (when hearing cases without a jury) and levy fines commensurate with the violation in such manner to preserve equity and uniformity in the application of existing Tribal laws. Sentence defendants on conviction.  Conduct legal research and prepare and issue written orders, judgments, search and arrest warrants.  Be available on a 24 hour/7 days a week basis, to review and/or sign complaints, summons, subpoenas, affidavits for search and arrest warrants, affidavits, etc.  Assist the Chief Judge in the development of Tribal Code and implementation of policy and procedures that compliment current court policies.  Keep accurate records of cases and court hearings, assist the Chief Judge in the preparation of reports to Tribal Council.  Assist the Chief Judge in reviewing legislation and current case law affecting offenses and the justice system and in implementing procedures to ensure compliance.  Assist the Chief Judge with the Peacegiving Court (restorative justice talking circle) and the Healing to Wellness Court (therapeutic judicial model aka drug court).  Attorneys who are enrolled in a state bar in good standing with at least five (5) years of experience.  Experience in criminal or juvenile law matters preferred, but not required.  Experience in working with Indian tribes or in cross-cultural environments preferred, but not required.  Experience as a judge or hearing officer preferred, but not required.  Ability to analyze evidence, apply existing laws impartially, and render prompt, equitable verdicts.  Knowledge of relevant statutes, court decisions, judicial procedure and rules of evidence.  Managerial, organizational, problem-solving, and decision-making skills.  Ability to respond effectively to sensitive inquiries or complaints.  Communicate clearly and concisely, both orally and in writing including providing presentations and drafting articles on legal issues for lay persons.  Work well under pressure and respond in a professional manner.  Establish and maintain effective working relationships with employees, Tribal officials, the general public, and all others contacted in the course of work.  Possess emotional stability, a sense of fairness, and exhibit respect towards all persons, including but not limited to argumentative and often hostile persons in court and in jail.  Please provide a cover letter or narrative summary not to exceed two (2) pages. o A description of your overall experience in providing the type of services sought in this RFQ including a description your work experience (professional history). o A description of the business organization (i.e., solo practice, corporation, partnership, joint venture, etc.) of the firm, its ownership and its organizational structure. o If a firm of more than one attorney, provide the names and business addresses of all principals of the firm. For purposes of this RFQ, the term “principals” means persons possessing an ownership interest in the firm. o The number of years you have been in business under the present name. o Any judgments within the last three years in which you or your firm has been adjudicated liable for professional malpractice. If such exist, please provide the relevant docket or case numbers.  A copy of a Certificate of Good Standing from your state bar association.  A listing of your hourly rates and charges for all services to be provided.  Names and contact numbers for references. 7.1 Insurance to be provided by Contractor. The Contractor will be required to provide insurance in amounts acceptable to CTCLUSI, including but not limited to Commercial or Comprehensive General Liability insurance, Professional Liability insurance and Workers Compensation insurance, naming CTCLUSI as an additional insured on all Commercial or Comprehensive General Liability policies. 8.1 Cost of Preparation. Submitter assumes all costs of preparation of the Submission. Faxed Submissions will not be accepted. Any Submissions received after the date and time of opening will be rejected and returned unopened to the Submitter. Time shall be determined as indicated on the clock where Submissions are received. Failure to provide the requested information at the time the Submission is submitted may result in the Submission being rejected. Unless otherwise stated, all Submissions shall be in lump sum basis, in U.S. funds. 8.3 Designated Contact. Any questions pertaining to the Submission or this RFQ should be directed to Diane Whitson, Tribal Court Administrator, at 541-888-1306 or dwhitson@ctclusi.org. 8.4.1 RFQ subject, name of Submitter’s firm, address, telephone and fax numbers, name of contact person and date of submission. 8.4.2.1 A description of the firm and its relevant prior experience in facilitation, community outreach, delivery of judicial and/or social services, strategic planning and working with American Indians. 8.4.2.2 Names of partners and/or managers to be assigned to the project and a summary of their qualifications. 8.4.2.3 Names, addresses, contact number and contact name of at least three (3) references. 8.4.3 Any additional information relevant to this RFQ you would like to present. 8.5 Review of Submissions. All Submissions will be opened publicly on January 25, 2017 at 9:00 a.m. in the Tribal Court office located at 1245 Fulton Avenue, Coos Bay, OR 97420. CTCLUSI reserves the right, in its sole discretion, to reject any or all Submissions if deemed to be in the best interest of CTCLUSI. The award will be made to the Submitter whose Submission meets the requirements of this RFQ. The successful Submitter will be required to enter into a contract with CTCLUSI according to the terms of the successful Submission and this RFQ. The successful Submitter will be required to maintain applicable liability and workers compensation insurance. CTCLUSI will apply Indian preference to Submissions, as applicable to the Confederated Tribes of Coos, Lower Umpqua & Siuslaw Indians Tribal Code and the CTCLUSI Indian Preference Policy for Procurement. 8.6 Award. Final award of the Submission is expected to be made on January 31, 2017. (1) Venue: The venue for any suit or action, including a resolution of any dispute as to the enforceability, validity, or scope of this agreement, is exclusively in the Tribal Court of the Tribes of Coos, Lower Umpqua and Siuslaw Indians. All parties consent and submit to such jurisdiction and waive any right to seek any other jurisdiction. (2) Sovereign Immunity: Nothing in this agreement is intended to be construed as a waiver of sovereign immunity or the acknowledgment. (3) Indian Preference: The parties to this contract shall comply with the provisions of Section 7(b) of the Indian Self–Determination and Education Assistance Act (25 U.S.C. 450b). In connection with this contract, the contractor shall, to the greatest extent feasible, give preference in the award of any subcontract to any Indian organizations and Indian-owned economic enterprises, and preferences and opportunities for training and employment to Indians. Sub-recipients must comply with all of the applicable Federal civil rights laws, including the requirements pertaining to developing and submitting an EEOP, reporting Findings of Discrimination, and providing language service to LEP persons. Recipients that make sub-awards must have in place standard grant assurances and review procedures to demonstrate that they are effectively monitoring the civil rights compliance of sub-recipients. Submitters can find the information they need to ensure EEOP compliance from applicable sub-recipients at http://www.ojp.usdoj.gov/ocr/eeop.htm. The contractor shall include this Section 7(b) clause in every subcontract in connection with the project, and shall, at the direction of CTCLUSI, take appropriate action pursuant to the subcontract upon a finding by CTCLUSI that the subcontractor has violated the Section 7(b) clause of the Indian Self-Determination and Education Assistance Act (25 U.S.C. 450(b)).